At Money Metals Exchange, we believe a significant part of our mission is to educate customers and the public at large about the many aspects of the precious metals market. Francis B. writes: Why is it that during the hours that the U.S. stock exchange is open, gold and silver prices tend to RETREAT from any overnight gains they have made on foreign exchanges? This documented phenomenon has been occurring fairly regularly over the past several years. There is tremendous and growing demand for physical precious metals overseas, and the Asian markets in particular are dominated by trading in the spot physical market rather than the paper futures market. When Western markets open, more paper sellers emerge who seem interested in muting strong advances in gold and silver prices. Don't fret, global supply and demand fundamentals will win out in the end! Despite whatever downside manipulation may exist, precious metals prices have risen dramatically in recent years. Anonymous writes: Suppose you have a safe filled with silver coins. Which insurance companies will insure these coins as part of or as a rider on a regular homeowners' policy? Your coins likely won't be covered or will only be covered up to a very small amount by a standard homeowners' policy. You'll need to request a personal valuables rider/floater for the coins. If your insurer isn't helpful in this regard or you want to compare prices and options with different insurers, consult with an independent insurance agent. Once you have the coverage you need, keep good records documenting your coin purchases in a safe place and take photos and/or video of your coin stash in case you ever need to make a claim. 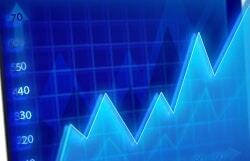 Generally you will pay less than 1% of the insured value each year. When Would We Want to Sell Our Silver? Bob and Donna C. write: We would like to purchase more silver. However, we have a question. If the price of precious metals continues to go up as predicted and the value of the dollar continues to fall, how do we survive? If we sell the silver or some of it we will get a lot more of the worth-less dollars. It depends on the nature of the dollar's decline. If it continues on a relatively orderly downward path that produces the sort of survivable inflation that we experienced in the 1970s, then you'll be able to convert precious metals back into dollars as needed for purposes of paying bills and replenishing savings accounts without having to worry too much about immediate purchasing-power "slippage" after converting your gains on silver into dollars for near-term liquidity purposes. If, on the other hand, 70s-style inflation is not contained by policymakers – if it morphs into the sort of hyperinflation where currency loses value hour-by-hour like a crashing stock, then you'd want to part with your silver only for other tangible assets in a barter exchange. If you sell your silver for cash in a hyperinflationary environment, you'd better have a plan in mind for spending that cash as soon as possible – or else your years-long efforts to preserve your purchasing power in silver could be wiped out in quick order! What's the Scoop on American Eagle Proof Coins? The proof coins will continue to command some level of premium over regular silver Eagles. 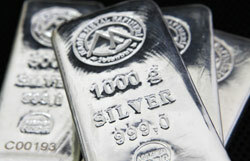 Whether that premium increases in proportion to rising silver prices is another question entirely. It may, but most likely it will not. Some people have a special affinity for the brilliant luster and high contrast of the proof finish. Only you can decide how much you value aesthetic or historic/collectible qualities in coins. But as leading precious metals expert and editor of Money, Metals, and Mining David Morgan teaches, the surest way to invest in gold and silver is to buy the most ounces you can get for your money. So if you're just looking to protect your wealth in silver and cash in on rising prices, then don't pay the large premium charged for proof coins. Instead, use your savings to buy additional ounces of low-premium silver. If silver prices triple from here, will the premiums on proof coins more than triple, as would be needed to outperform mere bullion? We doubt it. Premiums as a percentage of the total coin value tend to fall in a precious metals bull market. 2010 was a perfect example. Premiums for MS70 proof gold American Eagles at prominent national dealers did not even begin to keep pace with the appreciation of the underlying metal. Investors who bought proofs on January 1st lost ground to bullion investors, who have been smiling from ear to ear ever since. Take note of the "bid/ask" spread. This is the difference between your price to purchase versus your price to sell today. For proof coins and other numismatics you will find this spread can often be 30%, 40%, or more. Compare that to bullion coins, rounds, or bars, which will almost always offer bid/ask spreads of less than 6%. Proof American Eagles (gold and silver) are the only kind of super-marked-up metals that are allowed to be held in precious metals IRAs. (All other options are bullion forms generally available close to the melt value.) So pushing "proof" coins on investors is a favorite tactic of collectible coin companies when they encounter customers who want to buy precious metals in their IRAs. Our advice: don't do it! Call Money Metals Exchange to Buy or Sell Precious Metals Coins, Bars, and Rounds – 1-800-800-1865.